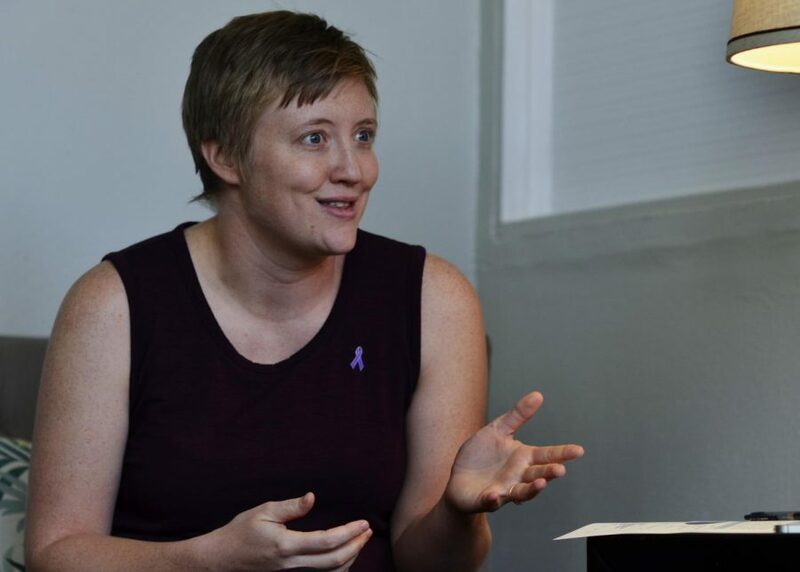 “We want to educate people on what their options are,” said Amy Volz, Domestic Violence Services coordinator, as she discusses programs available during Domestic Violence Awareness Month. To promote awareness and action against domestic violence, Alternatives to Violence of the Palouse, or ATVP, will be partnering with other local groups along with hosting its own events throughout the month of October. Domestic violence as defined by Amy Volz, coordinator of domestic violence at ATVP, is a pattern of behavior present in a relationship where one partner has more power and control than the other. Domestic violence is not only centered on physical violence in a relationship, Volz said. Abuse comes in many forms, including psychological, physical, financial, emotional and sexual abuse. “Domestic violence, how we define that, is one person’s belief that they have power and control over another,” she said. ATVP receives much of its data from the National Coalition Against Domestic Violence, the Centers for Disease Control and the Washington State Coalition Against Domestic Violence. ATVP is a nonprofit advocacy center founded in 1980 and has grown to help many survivors of domestic violence. Volz said it is easy to recite statistics of domestic violence in regard to how many people have died as a result of it. Those numbers, the bodies, she said, are tangible things to count. Domestic violence is typically thought of as a closed-door issue, she said. One in every three women is likely to be a victim of domestic violence, and not all of those cases result in death. Crisis intervention is centered on advocacy, Volz said. Some of the resources provided by ATVP’s legal advocacy include guidance from trained advocates who help domestic violence victims through reporting to law enforcement, going through court ministrations, filing civil protection orders and other legal proceedings. Medical advocacy is also provided by ATVP. This includes access to doctors, therapists and support groups. Shelters are available in ATVP’s buildings in both Pullman and Moscow. Emergency funds are also available to victims who do not have the finances needed to build a life after escaping domestic violence. Further financial help for victims can be found via the Resilience Program that is also partnered with ATVP. “We know, statistically, people fare better when they are connected to community resources,” Volz said. Violence prevention consists of taking action in the present to prevent domestic violence from occurring in the future. Violence, Volz said, is 100 percent preventable. Many of the root causes of domestic violence perpetrators stem from youth, she said. To prevent abusive behavior, ATVP is partnered with Pullman High School, YMCA, elementary schools and has a group of 10 trained teen counselors who educate their peers in school. “We want to educate people on what their options are,” Volz said. Before taking action, awareness must be spread. The majority of the population accepts that domestic violence is an issue in the nation, she said. Memorials depicting departed victims of domestic violence can be seen hanging around trees and electrical poles along Main Street, made noticeable by a purple ribbon. Several events coordinated by ATVP will be taking place in Pullman this month. Pullman Civic Theatre will be performing the Victorian murder mystery “Gaslight.” The production depicts a relationship in which one partner is manipulating the other into questioning their own sanity. Food and sanitary items will be accepted at the event as donations for ATVP’s local pantry. Performances of the play will be from Friday through Sunday and Oct. 18-21. ATVP will also be hosting a Trivia Night at Rico’s at 7 p.m. Oct. 23. More information on domestic violence and ATVP is available at atvp.org. If you or a loved one is in need of help, crisis hotlines are available.